What a crazy journey it has been. Imagine a company designed for one purpose – and one purpose only: to help developers be more productive. How time flies! Today we’re the proud inventors of a nifty debugging suite called OzCode, that makes developer’s lives a little easier. We’re grateful to you, our loyal customers, for your patience during the last two versions. We listened carefully to your feedback from the front lines of programming. That helped us formulate our latest release: OzCode v3.0. We’ve baked in upgrades that give you phenomenal debugging power. See this blog entry for OzCode’s v3.0 cool new features. OzCode v3.0 will be released on March 7th, 2017, shipped simultaneously with Visual Studio 2017 RTM. It’s important to us that OzCode remains affordable to everyone. For v3.0 we’ve switched to a new subscription model. 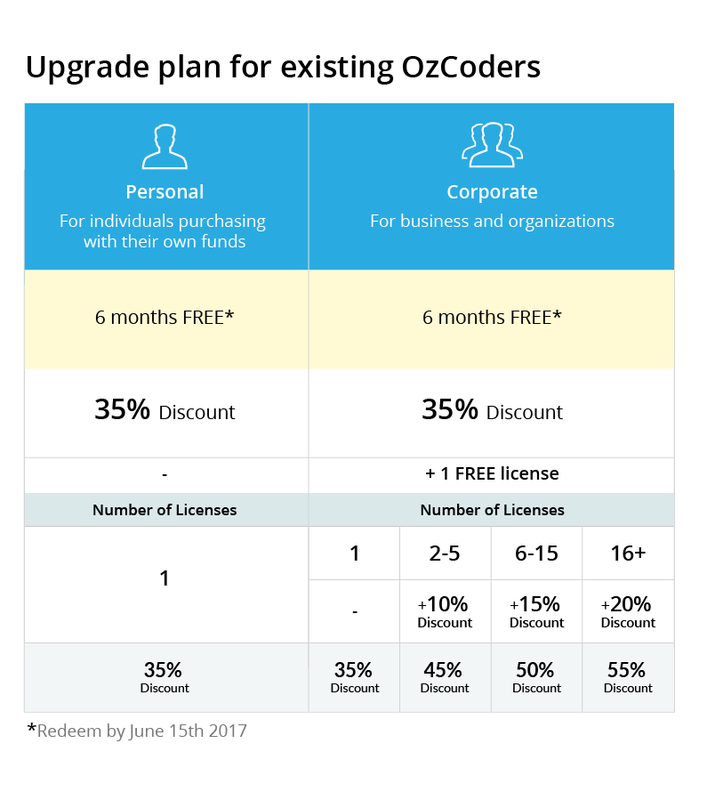 You can purchase your OzCode license on either an annual or a monthly basis. There are significant discounts available for volume purchases, so now’s the time to get your whole team on board. Try v3.0 Early Access Preview, we know you’ll love it! On March 7th 2017, v3.0 will be officially released and you’ll be able to upgrade your existing license to our new subscription model for six months at NO COST! If you’re not delighted, there’s no obligation to continue. The six-months FREE special offer expires June 15th, 2017. When the free period ends, enjoy a 35% lifetime discount, with additional savings for group purchases reaching up to a 55% discount overall! OzCode makes you a debugging wizard. With our awesome offer, you’ll be a popular Wizard too, leading the fight against bugs throughout your company. Until June 15th 2017, the OzCode Special Offer extends to every member of your organization. Introduce others to our debugging tools and they get six months free of charge, including a 35% lifetime discount. What if I prefer the Olden Days? We’re sure once you try v3.0, you’ll never go back. However, for those who like the good old fashioned version…existing v2.0 licensees can continue with their existing v2.0 license indefinitely. It’s yours to keep! 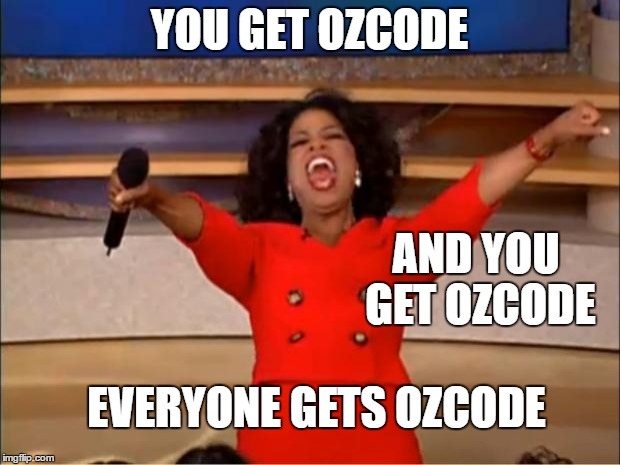 On Your Marks, Get Set, OzCode! Upgrades would soon be available to redeem. For now, go ahead and try the Early Access Preview completely free. Come and get it! Still confused? Not a fan of words? Lucky for you, we made an infographic!